Yakutia Airlines has added a Boeing 737-700 to its fleet. From last week the aircraft has been operating mainly on the Russian regional carrier’s key route between its Yakutsk base and Moscow. The 148-seat Boeing is on an operational lease contract with an unnamed lessor and the airline has also announced plans for adding more of the type. Vladimir Gorbunov, its recently-appointed general director, states that such aircraft are required for operating inter-regional flights in the far east of Russia, connecting the capital of Yakutia with Khabarovsk, Vladivostok, Magadan, Anadyr, Chita and Ulan-Ude. 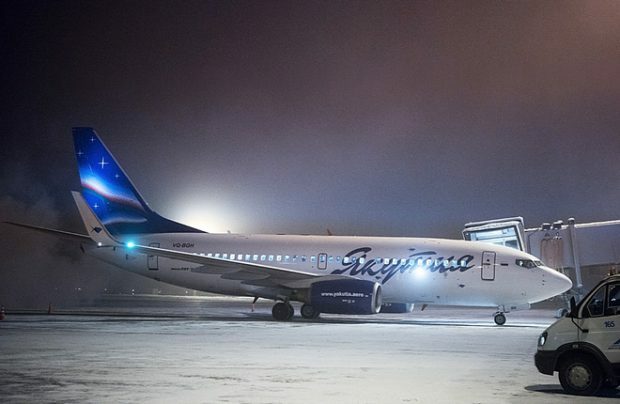 Admitting that his airline does not have the capability to compete with the strong players operating in the western part of Russia, the head of the Yakutsk-based regional carrier says the most plausible strategy is to focus instead on Russia’s far eastern region. “Our realm is the far eastern region, everything to the east of Novosibirsk,” Gorbunov confirms. The regional airline currently operates an eclectic fleet, which includes five Boeing 737-800s, two Boeing 737-700s, four Russian-made Superjet 100 regional jets, three Bombardier Q300 turboprops and six ageing Antonov An-24 turboprops. Last August Yakutia revealed plans to upgrade its fleet with the latest-generation Boeing 737MAXs but, since then, the project’s driving force, general director Olga Fyodorova, has been ousted – and the fate of the upgrade project is unclear.